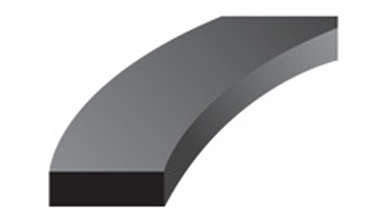 Primarily an anti-extrusion device, standard back-up rings are used in both static and dynamic sealing. Made of materials that are resistant to pressure induced flow, back-up rings prevent a seal from extruding into the clearance gap between mating parts. RT Dygert's standard Hytrel® back-up rings are equivalent to AN6224, AN6246, MS28774, MS28782, and MS28783 specifications. Our PTFE back-up rings feature a scarf cut to facilitate installation and are precisely machined to MS28774 specifications. Both types of back-up rings share a common rectangular cross-section. Stock Materials are PTFE & Hytrel®. The temperatures ranges are -300°F to +500°F for PTFE and -60°F to +275°F for Hytrel®.